What is REALLY in a subscription box? By now we're all familiar with the concept behind subscription boxes. You chose a theme, find a company to order from, pay a fee and a shipment of goodies arrives at your door. You try out all the items and decide which ones you want to keep buying. Subscription boxes come in all types, sizes and prices. Some are monthly while others are quarterly. The best part of subscription boxes is the surprise aspect. 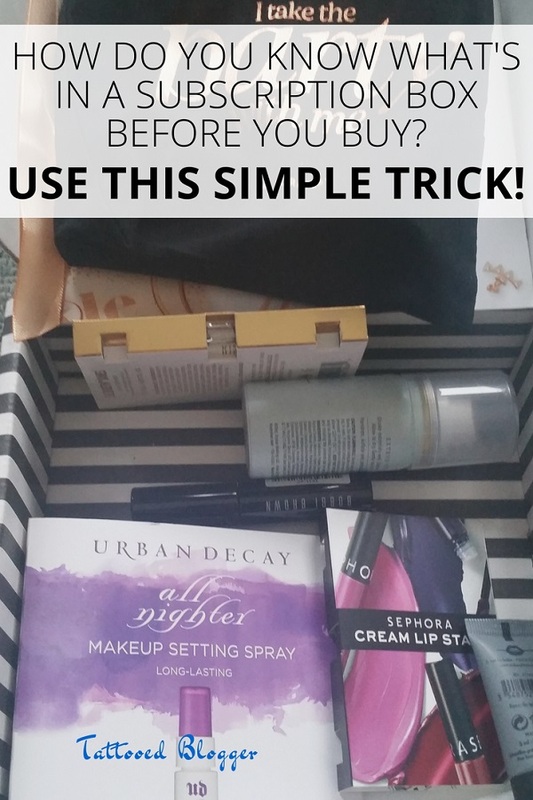 But how do you know if you're actually going to like what's in the subscription box? Month to month, you really don't know, but you can make an educated guess. The contents of some subscription boxes are tailored to your choices, others are completely random and still others are identical for everyone. Most companies offer 1 option but many have created a small/medium/large size (and price) choice. They key is knowing what type you're ordering and looking it up! We get several subscription boxes here. My son is dying for a gamer box, but so far only gets a snack box from Japan. The dog gets her own treat & toy box and I get a few makeup subscription boxes. Every one of these companies puts out beautiful advertisements and glossy pictures and makes the boxes look amazing.....but how do you know what's really in there? After all, some of these pictures show you all the options possible. So while the promotional image shows 3 lipsticks, or 6 crystals, or 4 bath bombs, each box only contains one. Or the promotional image is the deluxe box, but you're thinking or ordering the regular. So, what's really in the box you're ordering? I have sold stuff on Ebay for years. I used to spend time in thrift shops finding stuff to resell on ebay, but life got busy and now I really only put things on there that I would be throwing away instead. It's like free money! A few times a year I sit down and list a bunch of things on ebay that I have been saving up. It's all new stuff that I either won't use or don't have the patience to deal with anymore. 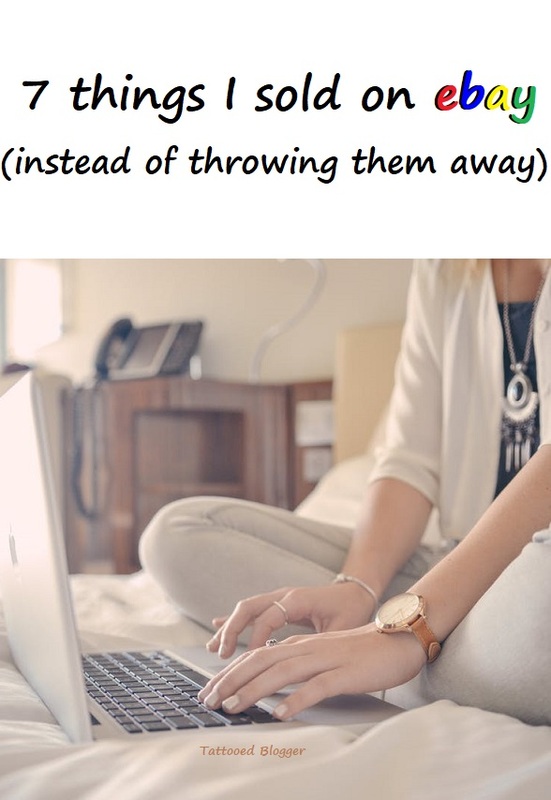 lol I can usually make an extra hundred dollars or so that week by selling garbage on ebay! Here are the 7 different things I sell to make money on Ebay, instead of throwing them away. Free samples: I save these whenever I get them from ordering online, inside magazines, Freeosks, samples attached to (or inside) other packages, redeeming coupons for free samples, stuff that comes in the mail, samples they hand you walking through the mall etc. Anything I won't use, I save and throw in a flat rate box. As soon as it's almost full, I take a picture and post it on ebay. You'll get a lot more money for the collection if you managed to save all one type of sample. Like if they're all detergents, all toiletries, or all mens products. I usually get at least $20 for a box full, though I have gotten much more on occasion! This post is sponsored by Brand Backer and Litter Genie. I'm sure you know I have a cat because I've talked about her here with different products. What you don't know is how much I hate litter smells. I don't want to have a kind of house that people walk in and go "oh you must have cats". Embarrassing! So cat litter odors are something I obviously have to deal with daily. I also live in the woods, so it's quite a hike down to my garbage can at the end of the drive every day to dispose of freshly soiled cat litter. Luckily, we found a solution recently. 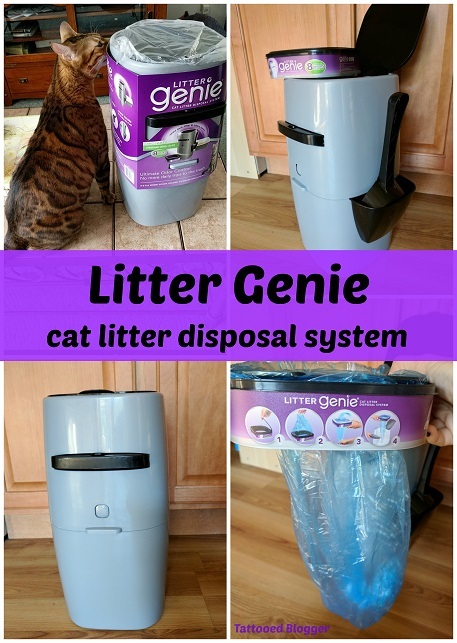 Litter Genie helped me to tackle that problem this month when they sent us a Litter Genie Cat Litter Disposal System to try out. The first thing that struck me about this system is that it's very modern looking. I can put this anywhere in my house and it doesn't look like something that's got cat poop in it. It just looks like a modern style garbage can. I had to change my blog name. 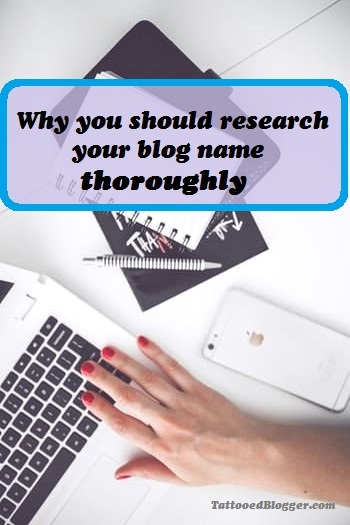 I didn't realize the importance of researching my blog name thoroughly before starting to use it and for that I am paying the price. 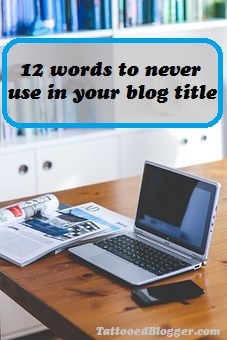 Renaming a blog is more then just buying a domain. I have tons of pictures that now need remade because they have the old name on it. I have endless pins that even though they will be redirected, will now be confusing to the reader. I have tons of rebranding work to redo and it's all because I didn't research my blog name first! Ugh! Let me tell you the story. I've been blogging for a total of 9 years now. I have 2 pretty busy blogs but ended up starting this one for my reviews and musings that didn't fit in on my other blogs. I've switched names and topics on here but eventually settled on the name Just Lisann because it was just my thoughts. As a bit of background my real name is Lisa Ann, but my brother nicknamed me Lisann when I was younger. He heard it on a daytime soap opera...Days Of Our Lives maybe? Anyway, I've been called Lisann for over 30 years. I've used Just Lisann as my blog name since 2012 but it was under the .blogspot domain. By now you've seen the advertisements (mostly on Facebook). You hit the ad and a video pops up showing the so called 'inventors' of this miracle product on a TV show applying the cream and the models wrinkles literally vanish in front of your eyes. How can you not want this product? With phrases like "as seen on Shark Tank" and celebrity endorsements it seems like legit product. These anti aging creams makes great claims that it reduces bags and wrinkles and makes you look much younger. You literally watch it happen! They offer a "free trial, pay only shipping". Once you order the cream for under $5 it takes you to a page with the eye serum offered for about the same shipping price. At no point does it say anything about paying full price after your 'trial' is up or an automatic shipment plan. Unfortunately, that's exactly what you are agreeing to. Not only that but they charge your credit card an additional $1.49 service charge then refuse to remove it! To make matters worse...it NEVER was on Shark Tank. Or the Today show. It's not endorsed by celebrities, in fact...this skin cream is not endorsed by anyone! 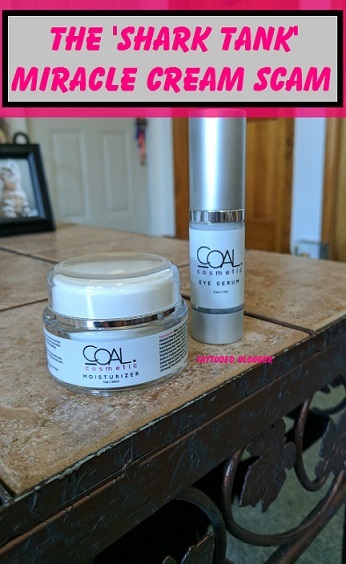 My experiences began as so many others have, with a Facebook ad for a product called Coal Cosmetics (there are over a dozen different names they use though, so keep reading for proof!). I cannot stress enough that no where in any part of the advertisements did it say I would eventually be charged full price! I read very carefully thinking there might be a catch but found nothing. I went ahead and ordered the product. My credit card was charged with the 3 charges, 1 for each product and then that random other charge. The weird thing is, the 3 charges came with 3 different company names and phone numbers attached (see image). While this was odd, I really wasn't worried too much about that third charge as it wasn't even $2. This post was sponsored by Influenster. A little over a month ago I got a package in the mail from Loreal and Influenster. 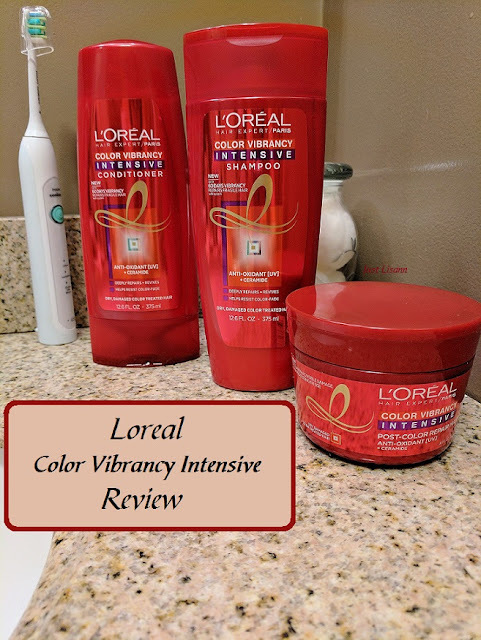 It contained 3 full size products from the Color Vibrancy Intensive line: shampoo, conditioner & post-color repair mask. This is perfect for me because my hair is lightened every 2 months at a salon and as such has quite a bit of damage. Some shampoos make it feel dry and brittle, and I've spent a lot of money over the years on salon brands to minimize the damage. I was looking forward to trying this since I had heard great things about it, and the cost was considerably less then what I had been shelling out. I really feel that Sephora play! is going to be the subscription box of the year. 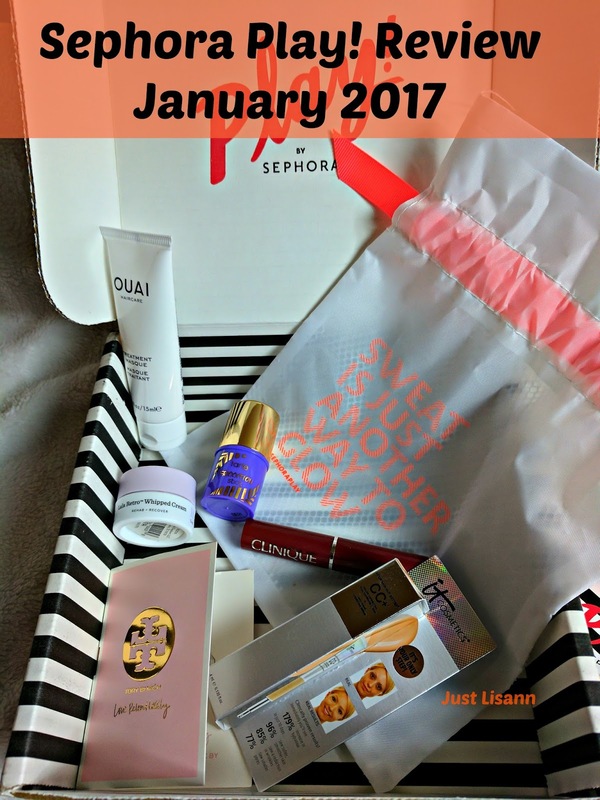 I have ordered many makeup subscriptions over the years and the boxes I have gotten from Sephora Play! have been my favorite so far. Once you see what was in my box for January 2017, I think you'll agree it's a nice selection. First of all, you get 6 things per month not 5 like Ipsy. Well, you get 5 plus a perfume sample. I also love the little drawstring bags they send in the Sephora box. I have liked many of the Ipsy bags over the years, but you really can only use so many of those and I literally have 2 dozen that I'm not using (and another half dozen that I sent to the thrift store because they just weren't cute) These drawstring bags are more versatile and I've just adored every one that I've seen so far! Copyright 2012-2018 Tattooed Blogger. All rights reserved.. Powered by Blogger.